A hit, that's all you need to turn a star over night. When Kingsley Elikpo used to walk to events as a disc jokey, not many noticed him while he hussled to make a decent living. Just one hit, his days of jumping cabs, hiking and sweating are gone, forever. “O4KASIBE”, that was the one song that changed DJ Zeez's lot for real. 04KASIBE, is the song that recently landed him a Cadillac. 04KASIBE is the song that has ensured that the good times has not only come, but has announced the arrival of the Imo State hailing dude on Nigeria's music scene. Born in Lagos, Kingsley started out as a DJ 17 years ago. An adventurous person, he figured there was much to life than just mixing songs for people to enjoy, he wanted to make his own songs too. For as long as the idea hit his head, he tried to do something of his own. The result was “Orin Ni” in 2004. Not much of a success was made of that debut song, but it didn't matter, he was just “enjoying himself.” He still enjoys disc jockeying. To be compared with Craig is a complement, but he doesn't plan to be Craig, he is just “having fun” doing what he enjoys best. Now, “04Kasibe” has changed his idea of success. It's no longer just 'fun' or 'enjoyment', it's now about business. To repay his record label owner, the Uk-based Nigerian that has spent lots of money on him to get where he is today, his management team and several hangers on, “I now have to be business-minded,” he said, to justify the confidence reposed in him by all. Honesty and humility brought Zeez where he is today, he believes he'd probably be hustling now if not for the trust his label owner has in him. “We met on the internet. Initially, he thought I was a scammer, but I was able to get him to listen to one of my songs, “Bobby E”, which he liked so much. “With time, he was able to bring himself to trust me, especially when he found out that all the business runs we did for him over here were sincerely done. “Eventually, he said he would love to do business with us, my management team I mean. “Since August that we started chatting, it was in January that I finally saw him when he came to the country for our press conference,” he said. Even though he drives an expensive car, Zeez is not detached from his Shomolu, Bariga neighbourhood. It was from the streets of Shomolu that he picked his Fokasibe slang, which has now turned to a national slang. “Unless you have a hearing problem, there are slangs in daily use in Bariga. “Fokasibe had been on the streets even before I made it a national anthem of sort. Boys were just playing around with the slang, but I took it further by making a song out of it,” he claimed. Now that 4Kasibe has become a national slang, not Shomolu's anymore, Kingsley is happy, “especially now that bank managers and bus conductors play the song. I'm glad I'm representing my hood,” he said as he thumped his chest. “The actual meaning is that you are the best there is. You are too much, et cetera. “For the 4 in 4Kasibe, that represents the four cardinal points of the earth, the North, South, East and West. “Whatever it is you do here, and it's felt outside of Naija, deserves commendation. Whatever it is you do that makes positive impact across the world deserves commendation. “Our songs are now felt globally, it has a Nigerian beat to it. So, if I say Bros, ori e fokasibe, it means your work is been appreciated North, South, East, West. “I said “to ba de yankee, won gbo wa nbe, to ba wo JD, wa bawan be, that's how wide 4Kasibe has gone. So, it's not a disrespectful slang at all”. Despite the popularity of the track, 4Kasibe was not expected to be such a hit, it was just to make up a number of songs for the album. “I hear many songs as a DJ and I sincerely wouldn't have believed 4Kasibe would have been a hit. 'I've heard better songs, but which were never hits. So, it's a grace to have hits,” the NIIT diploma holder in Digital Film Animation admits. Not claiming to be a total scarlet, and not a saint either, Zeez never jokes with God. “Am not an SU, but am a Christian and I'm no pretender. That's not the only thing he's dropped, he's single and not searching after a failed relationship. “I had a girl in the past, but she never liked showbiz. When the fame and late nights were getting out of hands, she opted out. “I didn't try to make her stay because I also had to decide between her and my career. “I don't blame her because she didn't want to lose both ways. Now I'm careful with my female fans, but I'm not dating anyone. “As I'm talking to you, except for my mother and sisters, no female has gone on a ride in this Cadillac with me. The second born of three, Kingsley would have been a Robotologist if not a musician, he's always been fascinated with science. He holds a certificate in Computer Science too from the University of Abuja. As he revels in the success his album has made, so is his label owner pushing international tours for him, none has come to fruition as at now though. While he waits for positive reports from over there, he admits he's happy to be in the field as Nigerian music is now booming. “It's now the fastest growing industry in the country, not even Nollywood, oil companies or the corporate industries come close. “In fact, corporate bodies now find it difficult to promote their products without music. “If we can keep this pace, the output will double in 4/5 years. 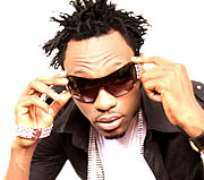 “Naija songs, which used to be seen as bush is now tush, even to foreigners,” he asserted. With the good times rolling in, it's no surprise that DJ Zeez has parted ways with the profession that brought him fame. “Even as a DJ I never enjoyed playing at clubs, I was a freelance. Now, I'm not a DJ anymore, I've quit for music totally”.